All signs point to an escalation in the newspaper collapse...something I feel like has been going on for awhile - and now a very weak economy is serving as a catalyst to cause an increased decline. One of the reasons is for many the news in the morning paper is already old news after they have been following stories online, cable news services, and on the google, apple, and blackberry phones. There are simply so many different types of media options available that have crowded out the role for the newspaper in it's traditional format. There are certainly other reasons, but I would argue that the collapse of the news industry is not a decreased interest in news, rather that the newspaper aren't gaining readership, and new design and story writing styles isn't going to change all that. 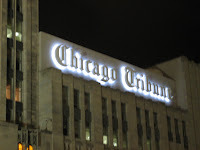 It is expected that Tribune Co. (owner of the Chicago Tribune, the LA Times, other papers, the Chicago Cubs, and Wrigley Field) will file for bankruptcy soon. Obviously, this is very sad to see large prominent institutions (like Tribune Co., or any of the other struggling industries, fail, go bankrupt, or fall off the map...many of course, excluded from the opportunity for a government bailout). My wife and I have never subscribed to a paper. If we didn't live in our current age of news technology, I can guarantee we would subscribe to the paper in another time. 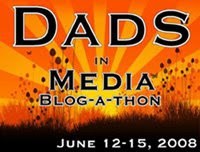 We are interested in news, locally, nationally, and in the world. But we can find that information where we want and when we want it -- without all the clutter and reliance on one a local daily. Yet when we moved into our new house recently we received the benefit of receiving the remainder of the former owners newspaper subscription...rather, two papers. She receives our cities two daily newspapers...so every day we have not just one, but two newspapers waiting for us. Because our mornings are not necessarily leisurely, these newspapers usually end up in the trash...which of course, feels very wasteful. But what I have enjoyed is that we get the Sunday paper. It's not the colored comics I've enjoyed...because frankly, I rarely laugh when I read any of them...but rather, it's the coupons. The Sunday coupons in the paper are often significantly different then what I'm used to getting in my mailbox. It has been enjoyable to cut out the manufacture coupons and when I go the store hand them over to the checker at the grocery store and see dollars fall off my purchase. I've also enjoyed being able to peruse the holiday deals in the paper from the different companies, clipping coupons, shopping the deals, and being aware of various promotions that I would have a hard time knowing about otherwise. It is unfortunate that the most redeeming thing I find about the paper is the coupons and ads. This is especially sad since the lack of readers is probably also driving down the ad rates creating a double-whammy of loss revenues. Not to mention how slim the classified section is when people can sell there old furniture, instruments, and vehicles on Craigslist and Ebay. I'm not sure how much longer we'll be getting our papers, but I do know I'll be glad to be done throwing away the Monday papers, but I think I'll be sad not to get the Sunday papers. And while I can do without a paper, I'm curious how newspaper failures might effect the industry, as well as the way older generations get the news, comics, obituaries, ads, and so forth. I generally find newspapers irrelevant -- except when it comes to The Wall Street Joural. Not only does it have great financial info, its political and cultural coverage is first-rate. I plan to subscribe for a long time. I guess I'm old school. I can't leave the house in the morning until I've finished the paper. I've read it cover to cover every day for most of my life. I subscribe to two on weekends. I won't give it up. And RC, I DO hope you are recycling the newspapers, and not throwing them away. I haven't taken the newspaper in years, partly for political reasons and partly because the CBC is the best news source going and we wake up listening to the news. I spent such a lot of my life thinking that I was getting the real story by reading newpapers and newsmagazines. I know now about perspective and bias; I just don't know if I know what's going on in the world. Maybe that's what we need art and movies for.